On February 24th 2006, 3DLABS refocused its business and stopped developing its workstation graphics cards for the PC. 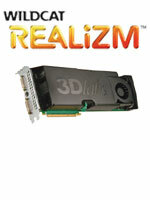 3DLABS now trades as ZiiLABS selling a range of ARM based processors, platforms and software. 3DLABS continues to support its legacy graphics cards while under their warranty conditions but no longer sells or develops PC graphics cards. Obtaining Graphic Card Technical Support All drivers and technical support material for 3DLABS legacy products can be downloaded from this site. To download drivers or manuals, please select one of the options from the menu on the left of this page. Direct technical support is no longer available.